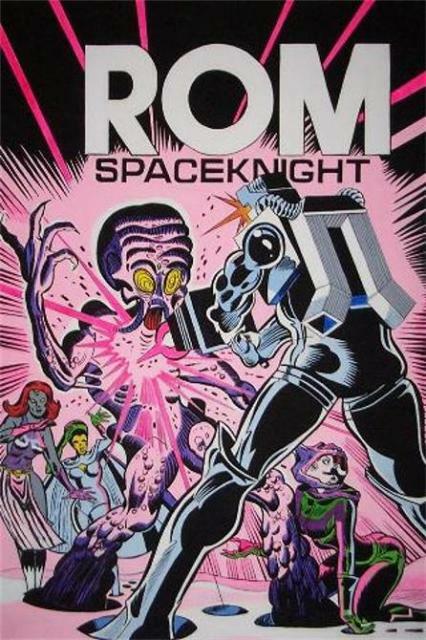 ROM Spaceknight: ’80s Comic Book with ’50s Sci-Fi Twist! Attending Wizard Con last week prompted me to dig through my old comic collection where I stumbled upon a little known title called “ROM Spaceknight.” When people mention Marvel Comics they will, no doubt, immediately be reminded of “The Amazing Spider-Man,” “The Uncanny X-Men,” or “The Mighty Avengers” – to name but a few. All of these classic titles have (or soon will see) big screen adaptations and have generated lots of merchandise. Sadly, one of their best characters never will. ROM has the distinction of starting out as a Parker Brothers toy before making his way into the Marvel universe. When I was twelve years old, I broke my arm and spent a couple days in the hospital. My grandmother bought me two issues of ROM from the gift shop and I became an instant fan. Blending elements of classic science fiction films such as THE DAY THE EARTH STOOD STILL and INVASION OF THE BODY SNATCHERS, this comic was the ultimate homage to the films I loved. Although ROM (in appearance) is obviously inspired by Gort from THE DAY THE EARTH STOOD STILL, he isn’t a robot at all. Rather, he is a man from another galaxy who has been fused into an impenetrable metal body for the sake of duty. Hailing from a Utopian planet called Galador, his galaxy’s peace and tranquility is threatened by fiends from a neighboring solar system called Dire Wraiths. The only way to stop these shape-shifting monsters is for Galador’s finest men and women to willingly give up their humanity to become cyborg, war machines. Although carrying a heavy price, they are successful at routing the creatures into the far reaches of space. Realizing that the wraiths will, no doubt, wreak havoc on whatever planet they find, a few of the space knights decide to seek them out – thus finishing what they started. This eventually brings ROM to Earth. He no sooner arrives when he rescues a woman named Brandy Clark from the wreckage of her car. Brandy finds her salvation at the hands of the silver stranger even more confusing when he proceeds to disintegrate members of her community (Clairton, West Virginia) whom she’s known her entire life. In truth, ROM saw what the others could not; that these “people” were actually dire wraiths in disguise. While everyone is up in arms regarding what they perceive to be a menace from space, ROM reveals his true intentions to Brandy who becomes the Patricia Neal character to his Klaatu/Gort. 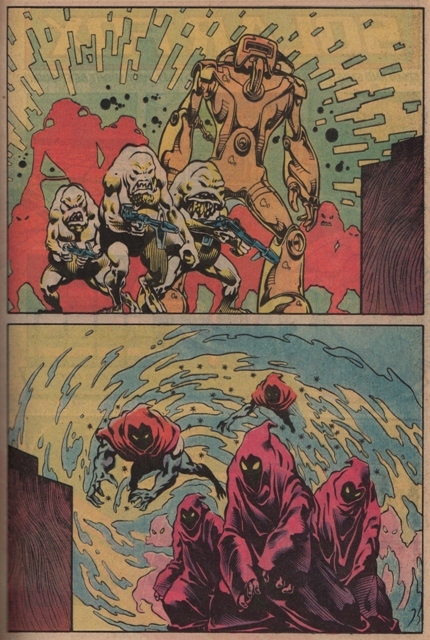 As the comic progresses, the wraiths step up their attacks and ROM eventually becomes the town hero. Not everyone, however, is thrilled with ROM’s presence. Brandy’s fiance, Steve Jackson, alarmingly discovers that his bride-to-be is developing strong feelings for her literal “knight in shining armor.” This culminates in Brandy becoming a spaceknight herself (thanks to the self serving powers of the dire wraiths) in an effort to join her love as he attempts to “cleanse” other parts of Earth. “ROM: Spaceknight” also pays to homage to I MARRIED A MONSTER FROM OUTER SPACE, only taking its premise of alien men procreating with Earth women to the next level. Unlike the movie aliens who saw no success in this endeavor, one wraith (who legitimately falls in love with an Earth woman) does. The result is an ultra-powerful and supremely evil creature referred to simply as “Hybrid.” Hybrid decides that mating with Earth women is a great idea only why waste your time on mere humans when you can get it on with mutant ladies (thus bringing ROM in contact with the X-Men)? Although looking a bit like a deranged Tweety-Bird, Hybrid was a great recurring villain. Hybrid was always good for inspiring a ROM/Mutant team-up! 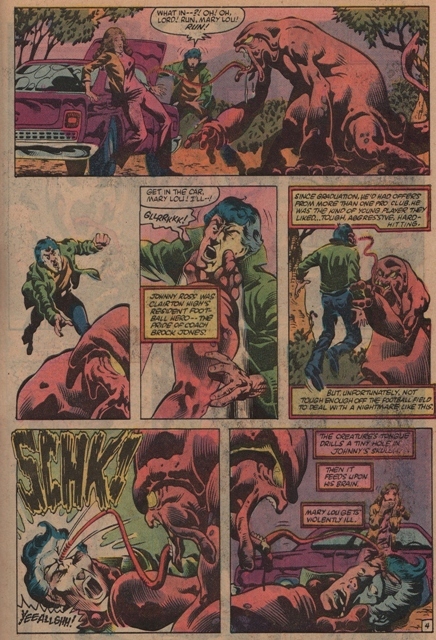 While the first 46 issues issues were a definite nod to science fiction, the comic then took a major turn into horror. 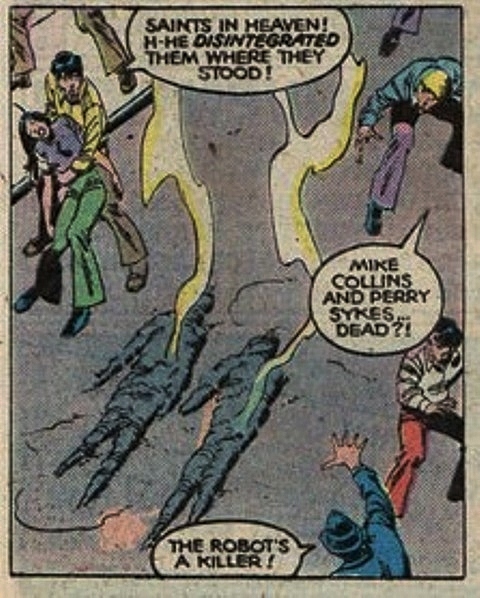 Previously, readers had only seen the male wraiths who can mimic their foes in appearance without killing them. By issue 47 we are introduced to the female members of their society who not only look more gruesome but are far more ruthless. Tired at watching their wraith brothers fail time and again, the gals decide to take matters into their own hands. Reliant upon sorcery as opposed to the male’s science they decide the first order of business is to wipe out the boys all together. Ultimate battle of the sexes! Like the male members of their race, the females can also become shape-shifters. This, however, can only be accomplished via a sharp feature located at the end of their long, slimy tongues. This device slams into the forehead of their intended victims before drilling its way into their brains. The gruesome process is only complete after they have successfully sucked the life out of their victims, while assuming their bodies and memories. Not something you’d see in a Spider-man comic! Whether desperate for readership or just plain daring, the series took an even more sinister turn as the newly empowered female wraiths head over to Clairton and proceed to slaughter every single supporting cast member in the comic. This breaks all the rules of super hero comics that rarely permanently eliminate their characters or, if they do, annoyingly figure out a way to bring them back. “ROM: Spaceknight” was a clever mix of 50’s nostalgia fitted with brass balls. Many of the story lines brought up the best of 50’s science fiction and horror for one last jaunt in the 1980’s – and I loved every minute of it. Unfortunately, this never caught on with the masses and “ROM: Spaceknight” ended at issue #75. The last year serving, in my opinion, to quickly wrap up a series that deserved much better. Marvel has since lost the rights to ROM which is now held, once again, by Parker Brothers. While some of the side characters and villains made appearances in other titles, ROM can no longer legally be mentioned. It’s a shame that with today’s special effects, he will never make it to the big screen. But, then again, maybe it’s just as well he remains obscure. Anyone interested can visit ebay and surely obtain the series at minimal expense. If you’re a vintage horror/sci-fi fan, you won’t be disappointed. This entry was posted in Comics & Superheroes, Science Fiction and tagged Dire Wraiths, EC Comics, I Married a Monster from Outer Space, Marvel, ROM Spaceknight, The Day The Earth Stood Still, The Lost Boys, The Mighty Avengers, The Uncanny X-Men. Bookmark the permalink. ← PIRANHA 3D: Dont be afraid to go back in the theater! I couldn’t agree more Dave F. A Rom flick would be a great addition to cinematic history! But what of this mysterious “Space Night/Wraith” comment made at the end of the new Thanos? Thanks for the comment. You have me intrigued, Dave L. Looks like I’ll be visiting the comic shop this weekend. I’m with you, I was like 17 or 18. 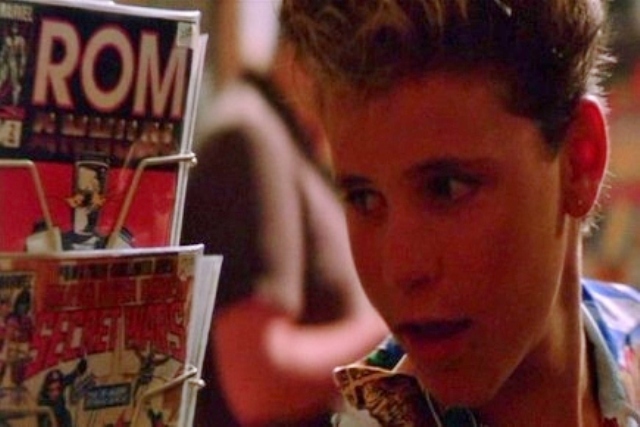 When Rom first came out & was a huge comics, Marvel fan for like 11 years already at that time. Hasbro? Owns the rights to Rom & to the Micronauts also. Both were written by the great writer Bill Mantlo. Who sadly has suffered a tragic roller blading hit & run accident. His brother Mike has been help take care of him. Look up Bill Mantlo on facebook. If I ever won millions I’d try to get a great Rom movie finally made! Wow, I had no idea about Bill Mantlo! That’s awful! I appreciate the comments and I sure hope you get those millions because I’d love to see ROM return. Here’s a crazy idea, google Parker Brothers/ Hasbro toys. Try calling their cotporate offices. Maybe just Maybe theu listen to fans like us. Then realize their sitting on a goldmine $$$. But they got do it now! 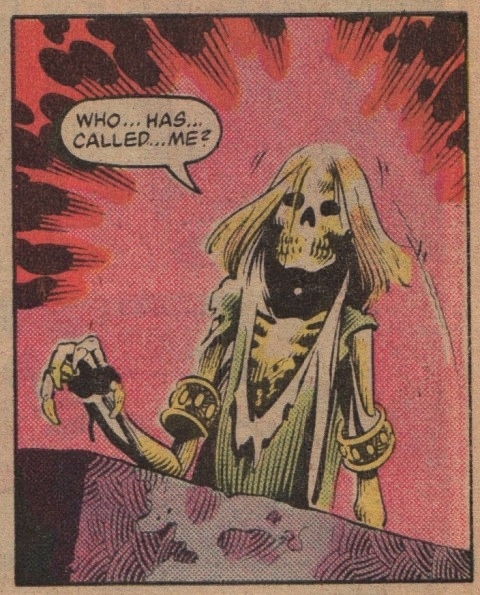 Bill Mantlo was hit in July of 1992, he’s pretty much been in a home ever since. I’m sad to say, but he’s still with us. I guess after leaving Marvel he became a public Defender. Until the hit & run accident, sadly the driver was never caught or turned themselves in either. Hey powerball is at $200 plus million tomorrow night! Let’s hope one of us wins it! So we can help get Rom made into a movie! Sounds like a plan, Mike! It doesn’t seem like the toy/game company has any plans with him anyway. And, after BATTLESHIP, I’m thinking they should stay out of the movie business and hand Marvel back the reigns. 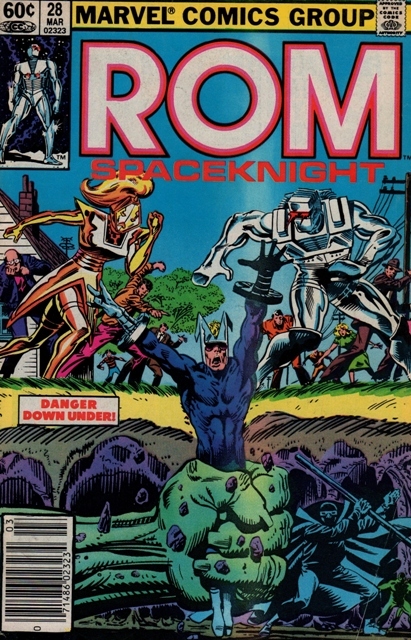 Wow…..I remember the day I got the very first ROM issue. I was a fan of the Human Fly (really short-lived), Master of Kung Fu, Power Man & Iron Fist, The Falcon and the Avengers. A few weeks later, I saw ROM at Barker’s department store and I couldn’t leave without him. More than the toy itself, ROM reminds me of a simpler time, but more importantly, how great a mom I have. LOVE YOU MA!!!!!!! Thanks for the great comment, Randall! I definitely have a special place in my heart for my Grandma for bringing Rom into my life as well. Great story, you two were lucky kids! I was already 17, when ROM came on the scene & a old time Marvel Zombie! Thanks for the comment, Mike! It’s nice to see no matter what age some of us were, that forgotten Spaceknight still brings us back some fond memories. To infinity & Beyond! I wanna be Rom when I grow up! 🙂 I need a major over haul soon anyway! I’ve got all 75 issues, the toy and a few of Team-Ups. It would be great to see Rom on the Big Screen or even Small screen-on my Facebook I created a New Rom Spaceknight fan made cover. I have all 75 issues along with a handful of the Team-ups. I think it would be great to see Rom on the Big/Small screen. On my Facebook I created both a fan made comic cover f his Return and a Big Finish Drama. ROM is one of the best comics of the early-mid 80’s and a great set to read. SO very true and one series I am not ashamed to admit that I read beginning to end every so often. GREAT series and so underrated and under appreciated.